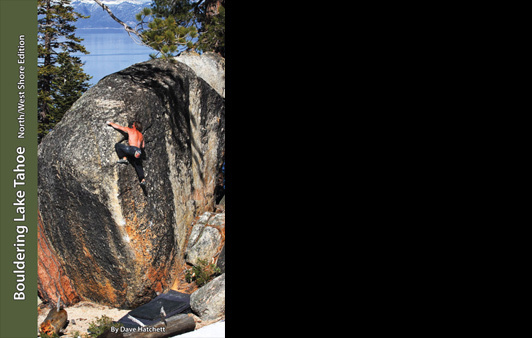 Bouldering Lake Tahoe-North/West Edition features over 3,200 problems at 25 different areas.This is a comprehensive guide covering every pebble that has been wrestled on the north and west shores of Tahoe. Some of the areas included are: Rainbow, Castle Peak, Donner Summit, Truckee, Big Chief, Old County, Sugar Pine, Bliss, Cascade Falls, Lost in Space and much more. It has full color photos of all the boulders, topos, overview maps, breathtaking photography and everything else you need to get you to the boulders.This book is written by local climbing pioneer Dave Hatchett, so you can be assured the info will be accurate and up date.